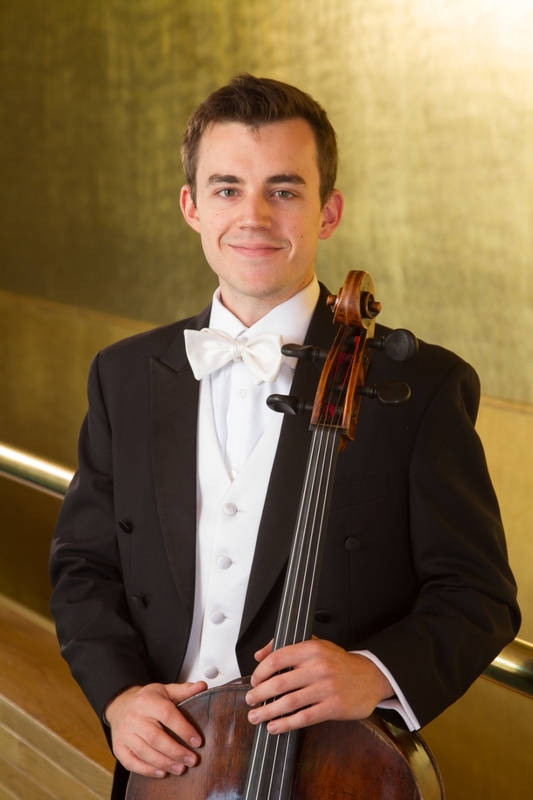 Rainer Eudeikis joined the Utah Symphony as principal cellist in 2014, following completion of his studies at the Curtis Institute of Music. He has also been principal cellist of the Mainly Mozart Festival, Cabrillo Festival of Contemporary Music, and Central City Opera, and has performed with the National Arts Centre Orchestra of Canada as guest principal cellist. Rainer also performs with fellow Utah Symphony string principals as a member of the Fremont String Quartet. Recent performance highlights include Strauss’ Don Quixote with the Utah Symphony and Thierry Fischer, C.P.E. Bach’s Cello Concerto in A Major for NOVA, and Tchaikovsky’s Rococo Variations with the Salt Lake Symphony. He has participated in numerous international festivals, including the Schleswig-Holstein Musik Festival (Germany), Britten-Pears Programme at Aldeburgh (UK), and the Académie Musicale Internationale de Vaison-la-Romaine (France). Rainer was a two-year fellowship recipient at the Aspen Music Festival, and was a member of the New York String Orchestra at Carnegie Hall, where he was Principal Cellist in 2011. Born in Texas in 1990, Rainer began cello studies at the age of six. Following studies in Colorado with Jurgen de Lemos, he attended the University of Michigan as a student of Richard Aaron, completing his B.M. in 3 years with highest honors. He received his M.M. from Indiana University, where he studied with Eric Kim. In May 2014, Rainer completed his Artist Diploma at the Curtis Institute of Music, studying with Carter Brey and Peter Wiley.